Hey all! 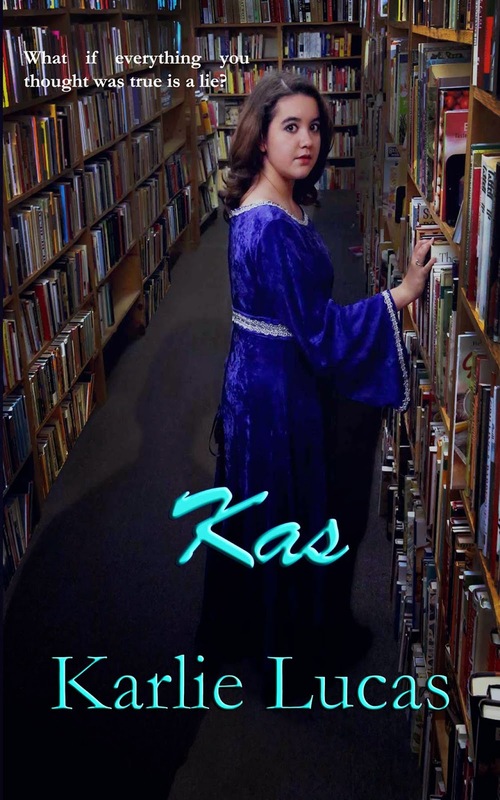 I'd like to give you the official cover reveal of my newest book, Kas. But first, a bit about the book. While in the mountains, Kas accidentally stumbles on a gateway to another dimension. Almost immediately, her life is in peril. From a disembodied man known only as Milord and a hoard of hooded men who want her soul, she doesn’t know who to trust in this strange place where dreams become reality. 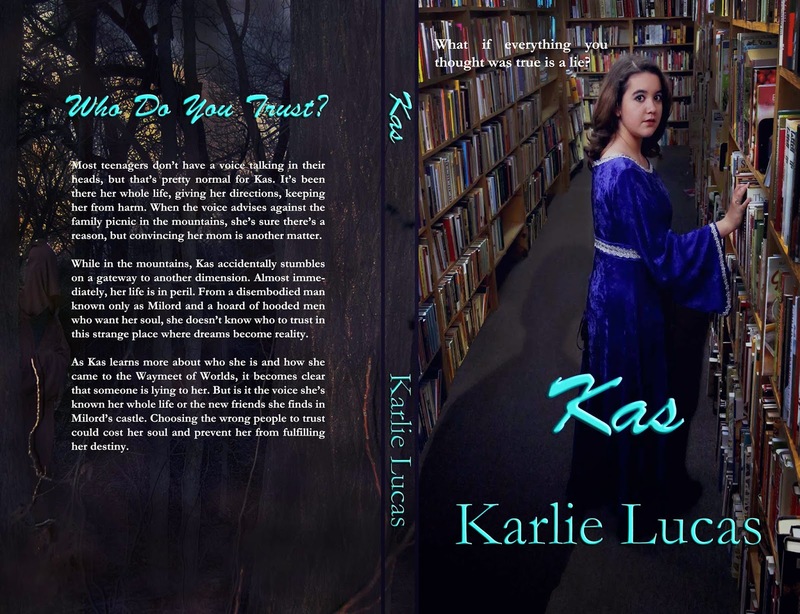 As Kas learns more about who she is and how she came to the Waymeet of Worlds, it becomes clear that someone is lying to her. But is it the voice she’s known her whole life or the new friends she finds in Milord’s castle. Choosing the wrong people to trust could cost her soul and prevent her from fulfilling her destiny. And now for the cover! And the full cover, because that back section is just awesome! What do you think? Did you find the guy on the back? I'd like to offer special thanks to those who helped me with this cover. Helen Taylor for doing the photography for the front. Hannah Manzanares for being my front cover model. And Brent Law for being my back cover model. Also, a special shout out to Recycled Books in Downtown Denton, TX! Great cover! I like the setting, the figure on the back (hmm, now who could that be?) Is a bit creepy and i like that it takes a few seconds to see. Kas's dress is sweet too! As yet Untitled: Chapter three - What To Do?